Jose Mourinho has confirmed that his next managerial position will start in July once the current season has completed. The 53-year-old confirmed his move in an interview with BT Sports Matt Smith, although the presenter conceded the conversation took place behind closed doors. 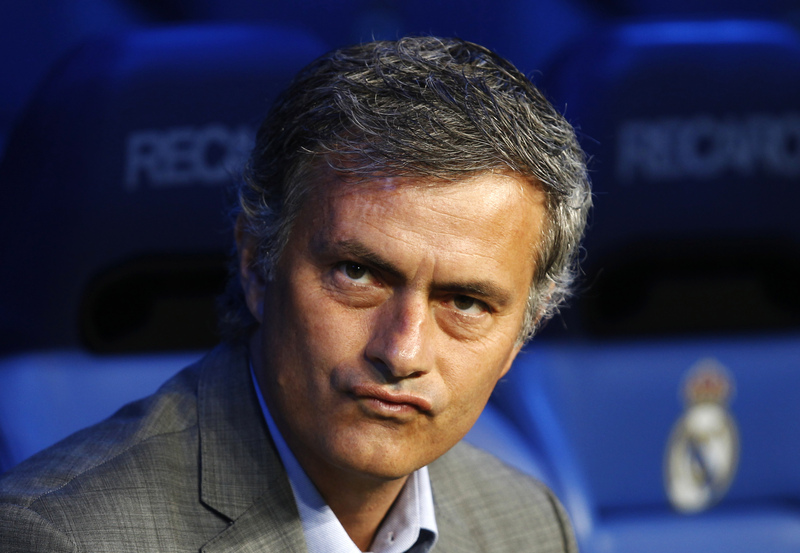 Mourinho has been out of work since being sacked by Chelsea following a poor attempt at defending their title. Speculation persists over the Portuguese tactician’s next move with the former Porto manager being spotted in the stands at many top clubs. The pressure intensified on Manchester United manager Louis van Gaal this week after a disastrous performance against Liverpool in the Europa League. The Reds ran United off the park at Anfield in the 2-0 win; a scoreline which could have been worse if not for David de Gea. LVG has been criticised all season long following another disappointing campaign for the Red Devils in both the league and Europe. 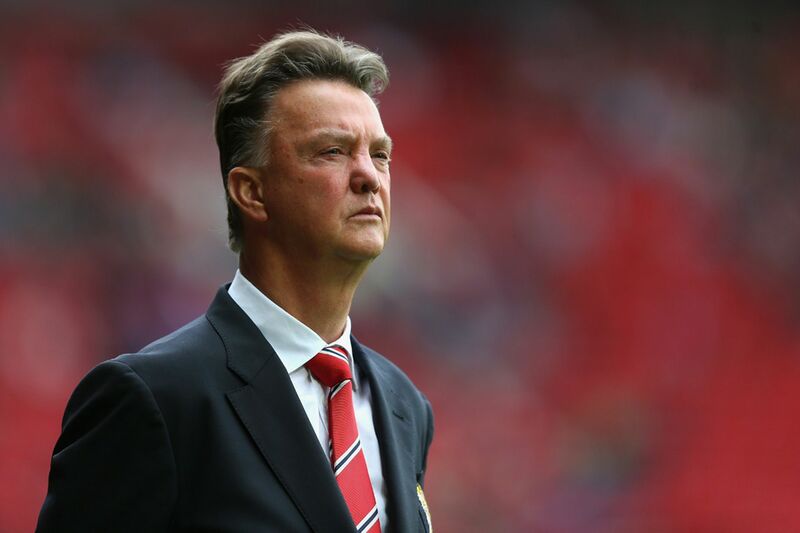 If United fail to qualify for the Champions League, it is widely believed that van Gaal will leave his position a year before his contract is due to expire. Ryan Giggs is seen as the perfect successor to the throne but the Welshman could struggle to compete with the experience and reputation of Mourinho should he be interested in taking the position. Mourinho would make widescale changes to the current backroom staff with the likes of Rui Faria, Silvino Louro and Carlos Lalin following him to his last four jobs. Giggs’ position as assistant manager could be safe unless the 42-year-old feels that he is ready to take the next step into management. The future of many United players could be in doubt including Juan Mata, who was sold by Mourinho in order to accommodate Oscar’s involvement in the Chelsea side. United could also benefit from the contacts of Mourinho’s agent, Jorge Mendes, who has many high profile players on his books including James Rodriguez and Cristiano Ronaldo. According to reports in Spain, Mourinho was targeted by Real Madrid president Florentino Perez to re-join the club he left in 2013. Following Rafael Benitez’s departure, club legend Zinedine Zidane was promoted to the role of manager. Despite the appointment being extremely popular amongst fans, doubts remain over whether ‘Zizou’ is ready for such a prestigious role so early in his coaching career. Benitez left the club in third position, just four points off the top. The gap has since widened to 12 points under the guidance of Zidane. Although the Frenchman currently boasts a better win percentage than the now Newcastle manager, questions marks remain over his long-term future as manager. Perez had reportedly held talks with Mourinho in January according to Spanish journalist Diego Torres. Mourinho will reportedly favour a move to Old Trafford rather than returning to the club he left just three years ago. His last reign ended on a sour note after falling out of favour with the club’s fans and players which ultimately led to his departure. A return to former side Inter Milan has also not been ruled out as the Portuguese is still highly regarded by his former employers due to his 2010 treble-winning season at the helm. Mourinho visited the side in February and admitted that a return to Milan could be on the cards one day. Current manager Roberto Mancini was replaced by Mourinho but has refused to be drawn into speculation that his position could be under threat. He enjoyed a fantastic relationship with both the players and fans at the San Siro before leaving to join Madrid. Inter have endured a fall from grace in recent years following the dominance of the likes of Juventus, Roma and Napoli. The Nerazzurri face stiff competition for a place in the Champions League yet again this season with Roma five points ahead in the race for qualification. Mourinho could be the man to turn their fortune around and return them to their glory days. Oil-rich PSG have courted Mourinho in the past with the club’s Qatari owners meeting on at least two occasions to discuss their project and plans for the team. Despite dominating Ligue 1, PSG has so far struggled to establish themselves as a frontrunner in the Champions League. Mourinho was approached well before current manager Laurent Blanc was appointed but was currently happy in charge of Madrid when he was offered the chance to move to the French capital. Blanc’s exploits in France have not gone un-noticed after winning back to back titles with the Parisians which has meant the 50-year-old is in the running to replace van Gaal in Manchester. Should Blanc despite to stay at the club, it is unlikely that PSG would look to replace the man who made 97 appearances for the French national team during his time as a player and has brought consistent success to the capital. Mauricio Pochettino has received many plaudits for his work with Tottenham this season after putting the Lilywhites well and truly in the race for the title with a squad featuring a number of young players. His record at Spurs and Southampton is extremely impressive which has led to Chelsea’s interest in taking over from Gus Hiddink at the end of the season. Reports suggest that Chelsea officials made contact with the Argentine’s representatives at the end of February to sound out a potential move. However, with the Blues set to miss out on Champions League football, Roman Abramovich would face a struggle to convince the 44-year-old to switch to Stamford Bridge. Daniel Levy will be keen to see Pochettino remain as manager with Spurs ready to return to the Champions League and a new stadium waiting in the wings. Ultimately, money talks and if Chelsea managed to persuade the former Espanyol manager to take the reins, Mourinho could emerge as a surprise contender for the Tottenham job. Spurs would need someone with Champions League experience and could build on the squad that Pochettino has created. Only time will tell which dug-out Mourinho is sitting in next season with many indications pointing towards Old Trafford as his preferred destination. No matter which club manage to secure the signature of the ‘Special One’, fans will be eager to see how Mourinho bounces back following his premature departure from a club so close to his heart. 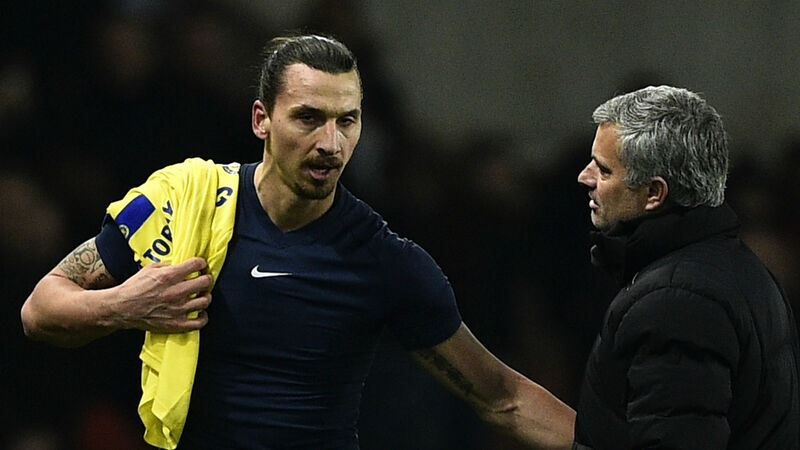 Zlatan Ibrahimovic set for the Premier League?